Ankara’s newly elected mayor has ordered the liquidation of the majority of the companies owned by the capital city’s municipality. Mansur Yavas, the Republican People’s Party (CHP) candidate who was elected mayor in Turkey’s recent local government elections, made the announcement on the second day of the first sitting of the Ankara Metropolitan Municipal Council to be held since the March 31 elections. During the second day of the meeting on Sunday, Yavas presented the official minutes of the first day’s meeting to the councilors for approval. In response, Mumin Altunisik, the group vice president of the Justice and Development Party (AKP), called on Yavas to first present a proposal made by AKP on calling for the “transparent management and supervision of municipal companies” for approval. Yavas rejected Altunisik’s proposals and called for a short break when objections raised by the council members of AKP and its ally Nationalist Movement Party (MHP). AKP group did not want to take the incident to the court, as it was still possible to solve the problem in the council, Altunisik said, calling again on Yavas to put AKP’s proposal to the vote. CHP representative Haydar Demir defined the proposal as bad faith since AKP had deliberately proposed it in the council’s first meeting in a bid to prevent the council from working. Demir claimed there were lots of problems waiting to be tackled within Ankara. Adnan Beker, the representative of Good Party (IYI), said the council should authorize the mayor to manage the municipal companies as the council would be supervising. After the remarks by representatives, the mayor Yavas took the floor and emphasized that he was respectful to the will of the council. “With this proposal, they [AKP and MHP] want to take the power from my hand to three council members. That is an excess of power,” Yavas claimed. Yavas said he had made no appointment to any municipal unit since he was granted the mandate. And nobody had been sacked from their jobs so far. Yavas said he had instructed the liquidation of most of the municipal companies. Following the change in their boards, the companies would be liquidated. According to Yavas, from now on, Ankara municipality would not tender anymore, but perform the projects by itself as much as possible. Doing so would prevent contractors from awarding subcontracts out to third parties. 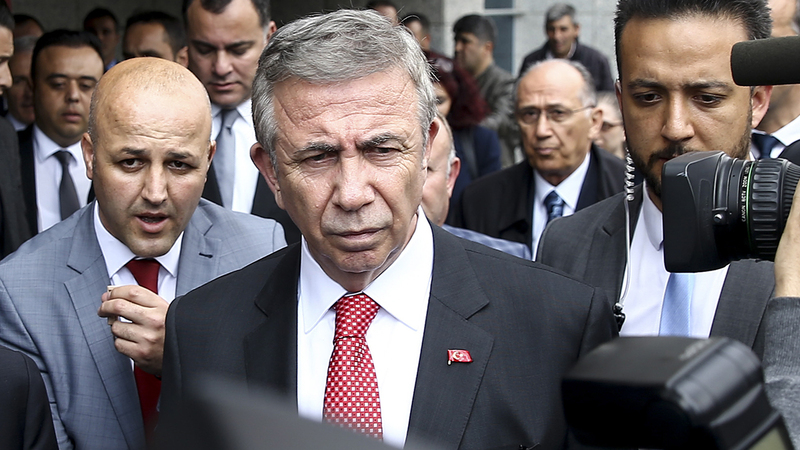 The CHP’s mayor Yavas received his certificate of election on April 8 from Turkey’s Supreme Electoral Council (YSK) one week after the local elections, following a recount of invalid votes in Ankara’s eleven districts, demanded by AKP. The AKP is the party of President Recep Tayyip Erdogan. Until the latest local elections the AKP and its predecessor, the Virtue Party had been in control of Ankara since 1994. The Ankara Metropolitan Municipal Council consists of 147 members in total, with 107 members from the People’s Alliance (AKP and MHP), and 40 seats for the Nation Alliance (CHP and IYI).